The Best of Teacher Entrepreneurs II: Social Studies Lesson - "Black History Month Mega Pack!" Social Studies Lesson - "Black History Month Mega Pack!" This Black History Month MEGA BUNDLE includes all FOUR of my Black History Month characters. 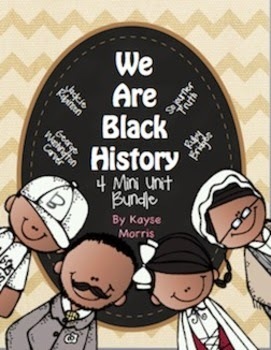 Sold separately these Black History Month-mini units are $4.00 each- but when you bundle these Black History Month mini units you get one for FREE!! -- What did George accomplish?